You can also correct any factual errors in that information or instruct us to remove your details from any list under our control. Rizistal RF770 Solar Reflective Liquid Paint Coating is a bituminous and rubber based compound containing aluminium flake for enhanced solar reflective properties. 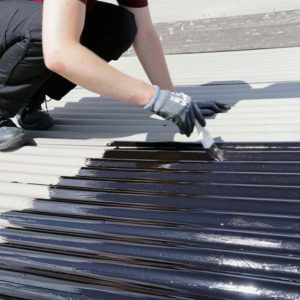 Suitable for felt, tiles, and metal or asbestos sheeting, this easy to apply is ideal for reflecting heat off your roof this summer. Drying fully in only 24 hours and being able to withstand extreme weather conditions, Rizistal RF770 is the perfect solar reflective paint for your project. Filler and reinforcement fibres have been added to our formulation for extra protection and increase waterproofing. 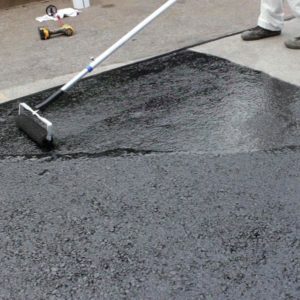 Rizistal SC860 Tarmac Surface Restorer has a blend of specific bituminous resins and flow agents formulated to refresh tired and worn looking tarmac and asphalt surfaces. Rizistal SC860 is one of the best-selling tarmac restorers on the market thanks to its easy-to-apply nature and high quality finish. 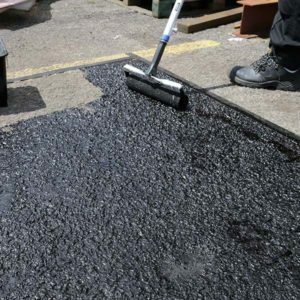 SC860 is a black surface coating designed to make old and faded asphalt and tarmac surfaces look like new again. 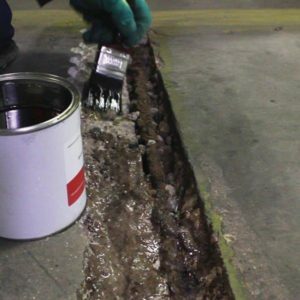 Its specially designed formulation of bituminous resins and flow agents mean it can be used on a variety of surfaces and it can even be mixed with sand to give a patch repair mortar and crack filler before coating the area. Each pack comes ready to use and is easy to apply with a roller or paint brush, in addition SC860 has a rapid cure to minimalize the disruption time. *We recommend cleaning and priming the surface thoroughly before application to ensure optimum results. If in doubt, apply to a small test area and check after 24 hours. 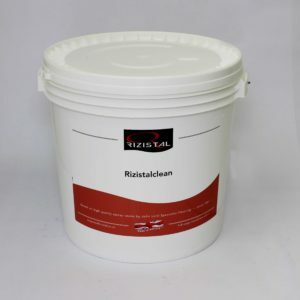 Rizistal SC870 Universal Concrete Dustproof sealer is an extremely durable, single component, solvent based clear acrylic sealer. Each pack is ready to use straight from the container, simply apply with a paint brush or roller. Rizistal SC880 All in one paving sealer is a low viscosity, clear acrylic coating designed to penetrate, seal and protect a wide range of paving substrates whilst improving natural aesthetics. 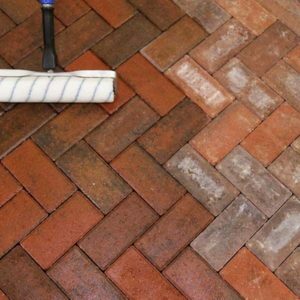 The acrylic formula will bind the sand jointing filler increasing its strength and bond to the sides of the pavers. 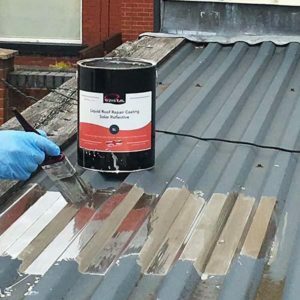 Rizistal RF780 High Build Bitumen Roof Repair Coating is a carefully selected blend of bitumen resins, rubber compounds and oils. Available in 5 kg units. RF780 is perfect for bridging minor cracks and imperfections, and can help to level the underlying substrate. Rizistal RF760 is an easy to apply Roof Repair Bitumen Light Paint Coating. 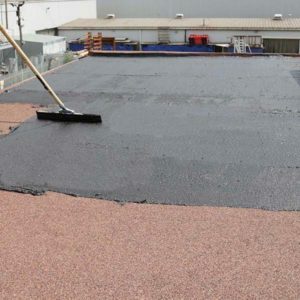 The bitumen based coating has a hi-build rubber based compound with added filler and reinforcement fibres. Each pre mixed tin can easily be applied by using a paint brush or roller and is applicable on a variety of substrates such as roofing tiles, natural slates, felt, cement sheeting & galvanised steel. 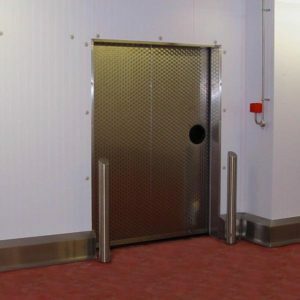 Rizistal galvanised protection products are British engineering and designed for hard wearing environments. Protection for buildings, machinery and pedestrians against heavy vehicles operating in the area. Please note that all bollard are delivered in 5-7 working days as standard. Rizistal Water Based Polyurethane Gloss Coating has an advanced polyurethane formulation which is designed to be a final clear sealer to enhance the performance characteristics to an existing floor. Rizistal Water Based Polyurethane Coating is designed for an ease of use and installation time. Each pack contains a large tin of resin, a separate in of hardener and a bag of aggregate that be applied using a paint brush or roller. CL520 RizistalClean is a water-soluble floor cleaning detergent for use with our range of flooring coating systems to meet after-care flooring needs. Safe-use, detergent being non-caustic, non-flammable, biodegradable with a low odour. Can be used in steam cleaners, high pressure washers, floor scrubbers and automatic washers. Rizistal CL510 Safer Solvent is glycol which is highly useful as a mid to slow evaporating solvent. Higher flash point than many other common solvents which makes the product far safer to handle and store. 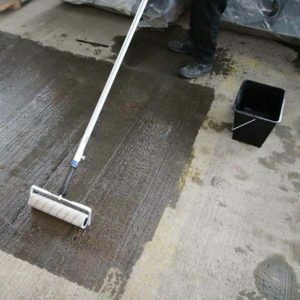 Rizistal EC358 Epoxy Anti Slip Floor Coating for asphalt and tarmac is a fast curing and extremely durable coating system, which provides safety under foot in wet and dry conditions. Rizistal products are designed for an ease of use and a quick installation time. Each pack contains a large tin or resin, a separate tin of hardener and a bag of aggregate that can be applied using a paint brush or roller. Please note: GOLDEN YELLOW may require two coats due to poor opacity. 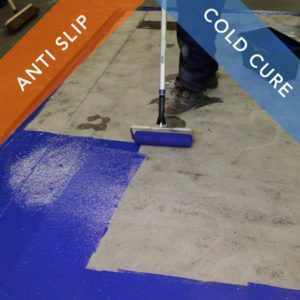 Rizistal EC258 Cold Cure Anti Slip Epoxy Paint is designed to provide safety under foot in temperatures above 0°c. EC258 high build formulation ensures a good film thickness, reducing the number of required coats. Each pack contains a tin of resin, a separate container of hardener and a bag of aggregate. Coverage is approx. 19m² to 21m² per 5kg and 38m² to 42m² per 10 kg. 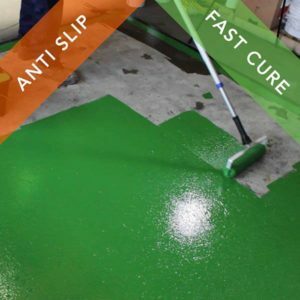 Rizistal EC248 Fast Cure Anti Slip Epoxy Paint Coating is designed to provide safety under foot whilst minimizing the disruption time within the workplace. EC248 high build formulation ensures a good film thickness, reducing the number of required coats. Each pack contains a tin of resin, a separate container of hardener and a bag of aggregate. 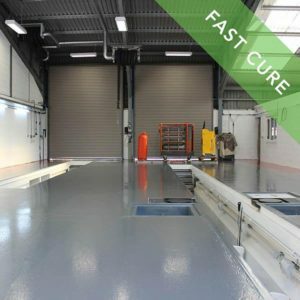 Rizistal EC240 Fast Cure Epoxy Paint Coating provides protection to a range of substrates, whilst reducing the disruption to standard business hours. 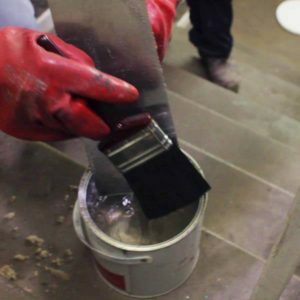 Rizistal EC240 is a fast curing high build epoxy paint suitable for concrete, masonry, and other substrates giving a high gloss and chemically resistance finish. Curing in 4 hours at ambient temperature, Rizistal EC240 can receive two coats in one day alleviating shutdown period in busy environments. Thanks to its specially designed formula, it provides excellent wear resistance and with a variety of colours available, EC240 is ideal for almost all projects. EC240 high build formulation ensures a good film thickness reducing the number of required coats. Each pack contains a tin of resin and separate tin of hardener. Rizistal TC200 Tack Coat primer is recommended on dry surfaces where there is a concern regarding the quality of the concrete, metal or other substrate being repaired. It is a two pack epoxy primer ideal for providing a tacky surface in dry conditions. It will improve the bond of mortars and paints applied on top of it, as well as strengthen and harden the surface of the substrate. After mixing, the product can be applied by brush and is good for topping in just 3 hours. Use Rizistal TC200 for the belt and braces approach to your concrete repair. TC200 comes in a pre-mixed container and should be applied as a thick layer over the damaged substrate using a paint brush. Coverage is 3.75 m² per kg on concrete. Please note this will be lower on more porous substrates. 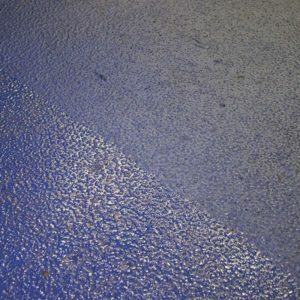 Why Choose Epoxy Floor Paint?